“No Man’s Sky” is finally getting an update and it is a big one. It will be released next week and once downloaded, it is expected to completely alter the entire gameplay as new elements are introduced for players to explore. On July 17, via its website, Hello Games announced its plan to launch the “Next” update. The video game publisher and developer also revealed that it will be free for players to download on the PlayStation, PC, and Xbox. The upcoming “No Man’s Sky” update is truly a significant one for the space exploration game because it will change the way it is played. It can be recalled that when it was first released in 2016, Hello Games was bashed left and right for the glitches and lack of really active gameplay as there was nothing to do, thus this huge expansion could make up for it, big time. 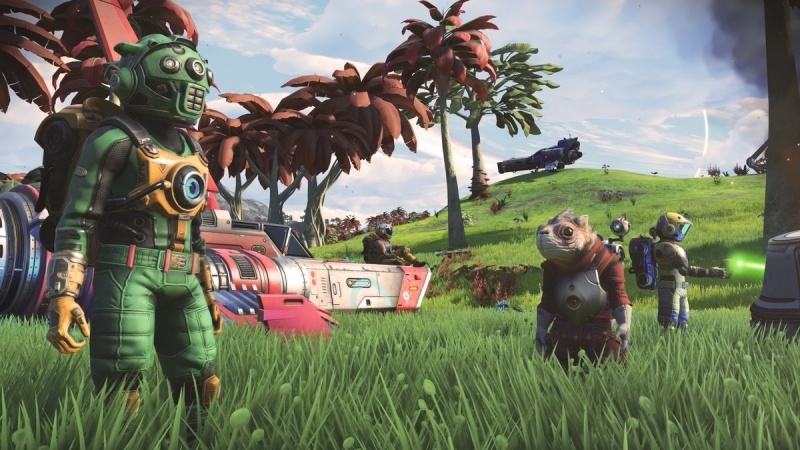 Furthermore, Hello Games shared that the latest expansion for “No Man’s Sky” had been tested for six months and it should be able to address most of the issues that gamers experienced. The “Next” update will also mark the introduction of the multiplayer option that could give players the chance to explore the universe with their friends. Gamers will now be able to construct colonies and shelters with up to three other friends and fight together against rivals too. The multiplayer feature in “No Man’s Sky” also allows players to join space battles and win together using their own spaceships. Building racetracks and trails for exocraft is made easy and character customization options are available too. Finally, other improvements in “No Man’s Sky” include better visuals for more detailed terrains and textures for space, clouds and other facets of the game. Simply put, everything has been improved for a better gaming experience. “No Man’s Sky” players can avail of the “Next” update in the U.S. on July 24 and in Europe on July 27. It should be noted that this expansion is free for all the players who previously purchased the game.